I didn't actually fall on our hike. 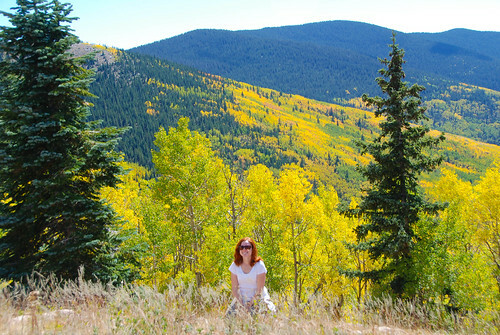 It was, you know, a hike during Fall. 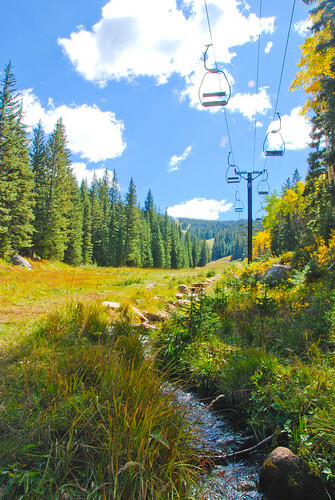 Last weekend we went up to the Santa Fe ski area to walk around, see the leaves change, and ride the ski lift. 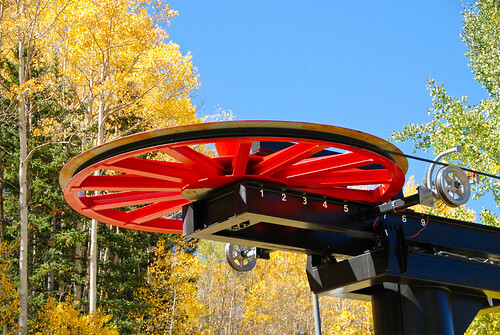 Most people ride the ski lift up and walk down. Not us. We hiked UP the mountain! It was absolutely gorgeous. WOW this is gorgeous - what beautiful colours. 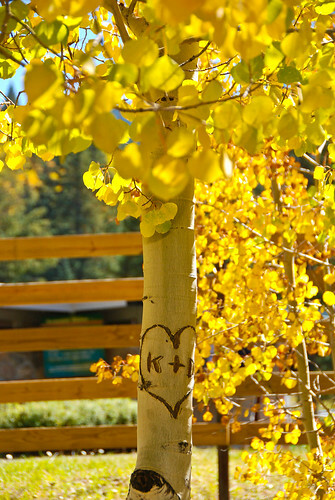 I do so love Autumn/Fall colours.